Here you can find details of our range of programmes. 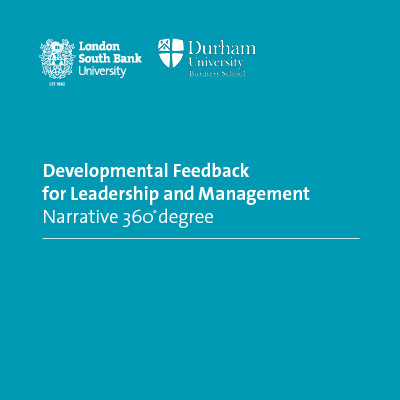 Developmental Feedback for Leadership and Management, 360° Degree Publication: on sale now! Dates for this programme have now been confirmed, please see the new brochure below. You can download the brochure (PDF File 2,741 KB) and apply by email to Prof Malby. One year, part-time leadership programme. Workshops take place internationally. 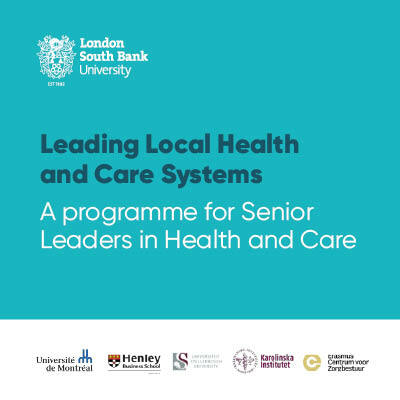 This programme brings senior leaders from local accountable health systems together to undertake learning journeys to improve their local systems leadership practice. Participants will be ambitious for the future of the community they serve, hopeful about the capabilities of people locally, and sufficiently frustrated with the current situation to be willing to try something new / different. They will have authority to lead change across their accountable health and care system. They will develop their future focused leadership practice, being able to navigate complex partnerships, and lead through peer-based networks. Working on local systems leadership Grand Challenge, peers inquire into the systems leadership through Inquiry Learning Journeys to countries with particular experience and learning to offer. There is one preparatory module (held in the UK) followed by 3 visits over the course of the programme, each taking 3 full days (briefing, visits, debrief). Download the brochure (PDF File 507 KB), or for more information email healthlab@lsbu.ac.uk. 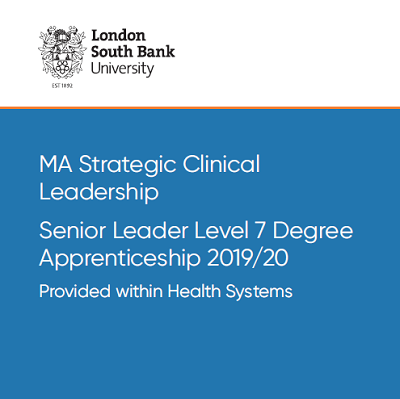 The MA Strategic Clinical Leadership Senior Leader Level 7 Degree Apprenticeship is a work based part-time 2-year degree provided with partner NHS organisations starting in September 2019. The programme is place-based (ICS/Health systems) which equips senior clinical leaders with leadership and management knowledge skills and behaviours to work in collaborative systems, using practical experience whilst also meeting the requirements of professional CPD. 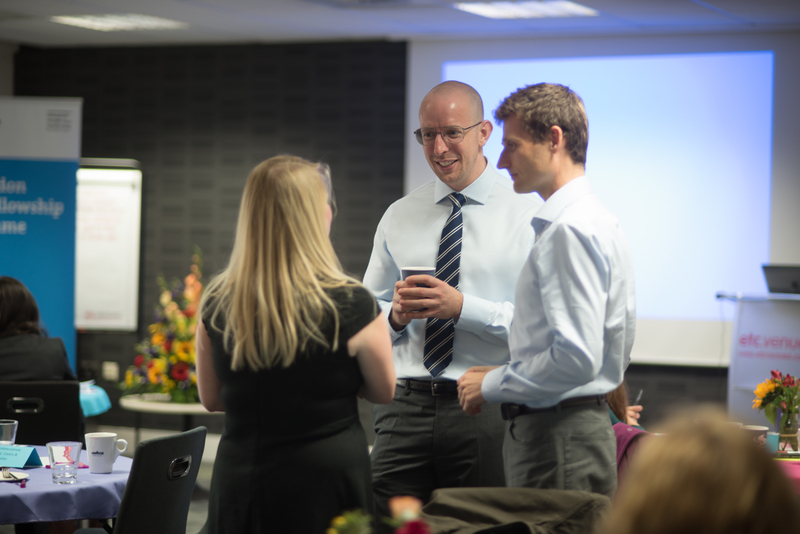 Come to our seminar: "Clinical Leadership Development through The Apprentice Levy: The Senior Leader Level 7 Degree Apprentice at LSBU". This will take place on Thursday 16 May 2019, from 13:30 – 15:30 and is held at the University (lunch included). 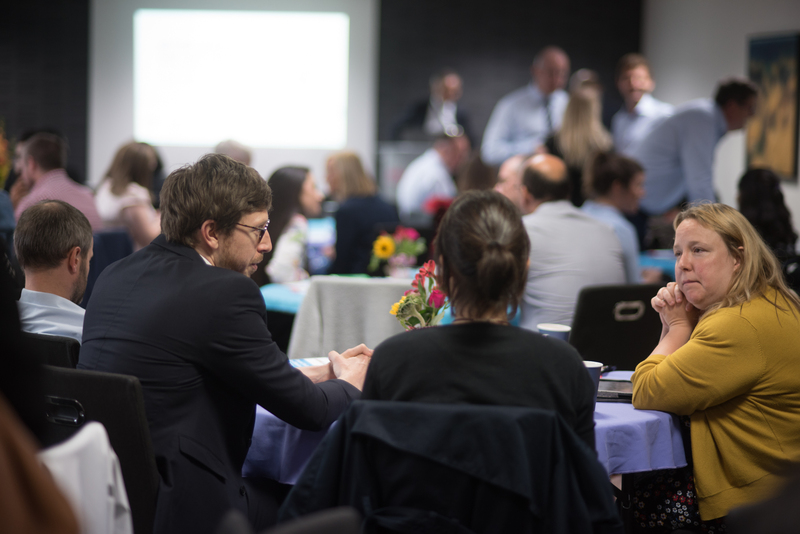 We will share our programme, designed to enable NHS organisations to draw down the Apprentice Levy funding for clinical leadership and support place-based change. 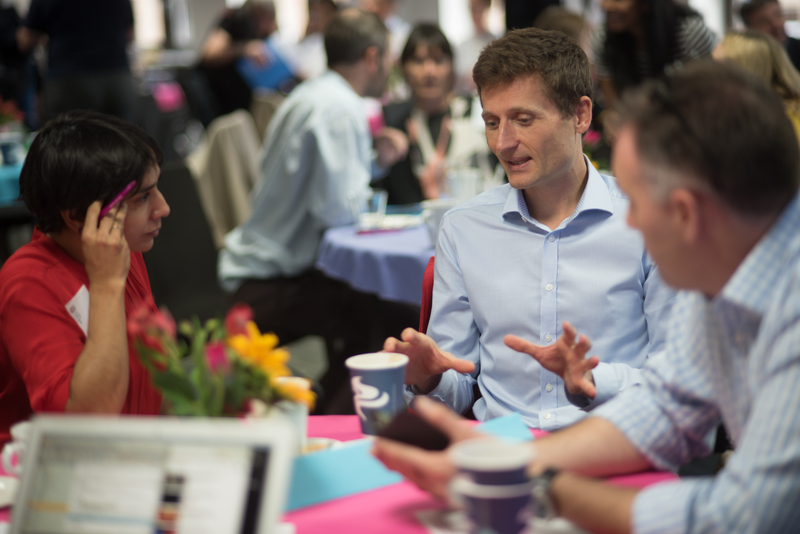 LSBU is prototyping this programme with the Kingston health system, working together to establish the first Strategic Clinical Leadership Programme, which addresses the requirements of the NHS Long Term Plan utilising the Apprentice Levy. Register here: the password is ‘apprentice'. Download the brochure (PDF File 590 KB) or for more information, email healthlab@lsbu.ac.uk. “Leadership is becoming increasingly complex with a growing need to deal confidently with volatility, uncertainty, chaos and ambiguity” (Ghate et al 2013). 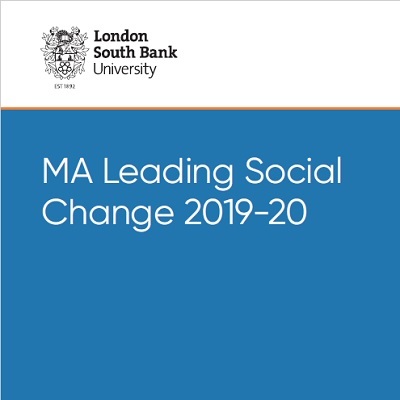 The Masters Leading Social Change aims to equip leaders in health, social care, criminal justice, third sector, clergy/faith leaders, community development, and education sectors to lead social change in an age of heightening complexity and disruption. Increasingly, leaders in the field of social change are finding that traditional approaches are not sufficient for integration and collaboration between services and sectors to meet social need in a highly connected world. The generators of need are now complex and interrelated. No one organisation can either meet need or solve social problems. Leaders are finding themselves in a new world of peer-based collaboration and interdependency. Two years, part-time leadership programme. Workshops take place at LSBU and Royal College of General Practitioners (RCGP), Euston Square, London NW1 2FB. Leaders of Health and Social Care, community leaders who come to the Masters with a local social change programme which forms the application work. This innovative degree offers both face-to-face and blended learning experiences. It is delivered using a mixture of workshops, online seminars, group discussions with other students, including a regular learning circle co-consulting group, and learning journey visits and immersions. Learning takes place through reflective practice and inquiry, both in terms of the lived experience in the learning environment and application to the community or workplace. The highly participative nature of the workshops and groups enables students to experience collaborative leadership and peer learning, exchanging ideas and experiences with the group, and immediately applying new approaches and methodologies to practice. Students are exposed to examples of innovation and have the opportunity to expand their network of like-minded communities and people committed to social change. The learning experience is enriched with a Social Change Grand Challenge unique to the student’s system/ community, which is agreed prior to commencement on the Masters Programme. This a complex social change issue the student is leading locally, that forms the focus for application of knowledge and skills. The course covers Advanced Systemic Principles and Practices, Research Methods for Social Change Inquiry and a Dissertation (traditional or journal article) on the Grand Challenge. This PGCert addresses the emerging and critical need for new knowledge, skills and practice in effecting change in collaborative health and care systems. 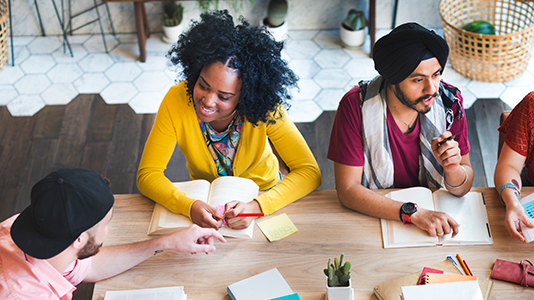 The PGCert learning approach models the skills and behaviours required by collaborative leaders in the way the programme is designed and taught. Working in partnership with the LSBU People’s Academy all aspects of the course are co-designed and delivered. One year, part-time leadership programme. Workshops take place at LSBU and Royal College of General Practitioners (RCGP), Euston Square, London NW1 2FB. This course is aimed at leaders from both community and citizen leadership backgrounds as well as professionals. We expect this course to particularly appeal to people working in primary and community health settings. This innovative degree offers both face–to- face and blended learning experiences. The degree is experiential, innovative, ground breaking and open to people who are making a contribution to change in systems with communities. It builds skills in effective collaboration through a combination of taught modules, experiential learning and the completion of a co-produced service change. The highly participative nature of the workshops and groups enables students to experience collaborative leadership and peer learning, exchanging ideas and experiences with the group, and immediately applying new approaches and methodologies to practice. Students are exposed to examples of innovation and have the opportunity to expand their network. Modules cover Innovating in Collaborative Systems; Core Concepts of Quality and Leading Systems Change Programmes. Assessment is varied and innovative playing to the strengths of a diverse student community. Our team, drawing together academics with people involved in health and social care, including citizens, professionals, community leaders, all of whom have lived experience of working in health and care settings, equip students with a whole systems approach to improving the health and wellbeing of people and communities. For full details, please see our Darzi pages. We have updated the 360° Narrative Feedback toolkit and it's now on sale (£20.00 inc. P&P). Order now!